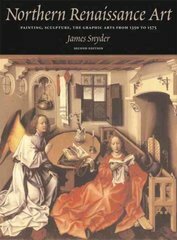 Northern Renaissance Art 2 Edition The only comprehensive volume available for the study of Northern Renaissance Art, this paperback presents stylistic and iconographical themes, art historical scholarship, and valuable analyses for today's learners. Its coverage and color capture the authors' lasting excitement for the period and its artists. A three-part organization covers international currents in the Fourteen Century, Fifteenth-Century Innovations, and Renaissance and Reformation in the Sixteenth Century. For a complete understanding of Northern Renaissance Art—its geography, patronage, and audience expectations.